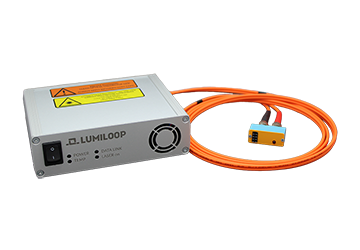 LUMILOOP provides an isolated, continuous, all-time stable power supply and bi-directional data transfer. Through the patented power control the systems are energy efficient, reliable, eye-safe and in compliance with international laser safety standards. Each system consists of a computer interface connected to a maximum miniaturized sensor interface. Best-in-class compensation of linearity, frequency and temperature guarantees accurate measurements from less than 0.1 to at least 1,000V/m. Customization for higher field strenth on request. 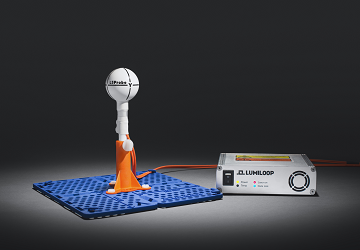 The miniaturized 6 GHz 3D E-Field Analyzer LSProbe ensures unattended, uninterrupted measurements combined with high resolution, high speed and low noise over the entire test period. With the galvanically insulated power supply, the need for batteries is now eliminated. The field probe does not only measure average values but the time course of fields. 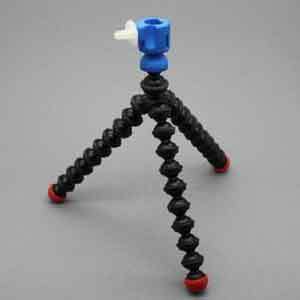 With an unprecedented wide dynamic range and fast pulse response, LSProbe provides the user completely new measuring options. 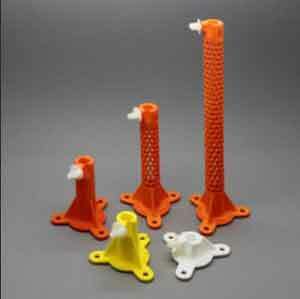 The LSProbe enables a higher efficiency through shorter and lower-cost testing intervals. 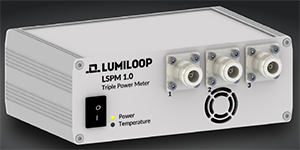 The LSPM Triple High-Speed Powermeter is a three channel, high-speed, high accuracy and high dynamic range RF field probe. 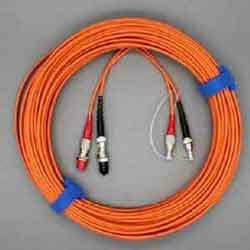 The high sampling rate allows for high resolution time-domain signal anlysis. 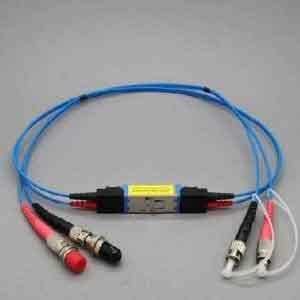 The power meter can be synchronized with signal generators to realize high resolution pulse analysis. 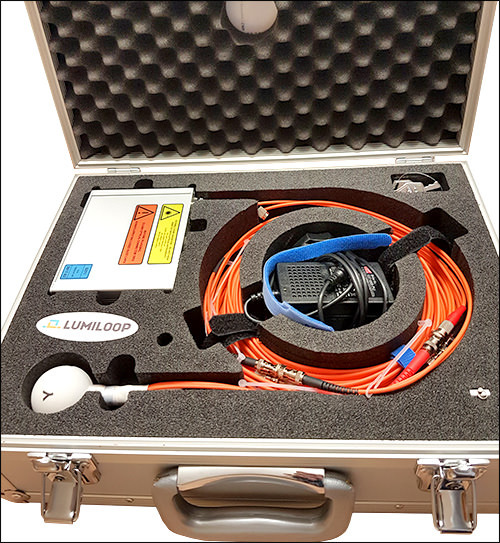 The LSPM can be combined with LUMILOOP´s LSProbe E-field probes to accelerate EMC measurements according to IEC 61000-4-3 and 61000-4-21. Potential lead user can have their first experience with the LS250. The LS250 makes an optically powered sensor communication tangible for everyone. 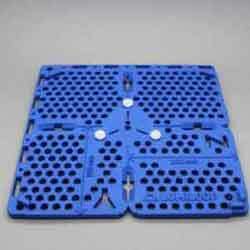 The universal interfaces ensure easy integration into customer-specific systems. 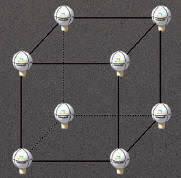 The system enables energy-intensive applications and rapid feasibility studies for new sensors. 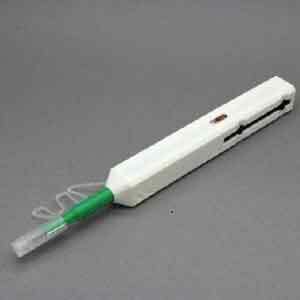 With its maximum output power of 250 mW, it is applicable for the vast majority of electric sensors. 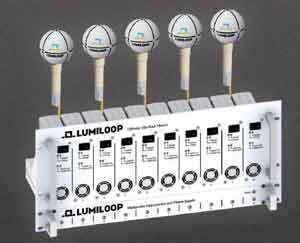 The LS250 ADVANCED has the innovative and versatile LUMILOOP ASIC integrated for the first time.